We are currently working on this year’s Halloween costumes. Last night, my daughter tried her’s on. As she was grinning from ear to ear, she said the sweetest thing: When I wear the costumes you make for me, I feel warm inside. At 9, she has never, not been a Star Wars character for Halloween. And with the exception of the Yoda costume when she was just a wee one, they have all been home-made. 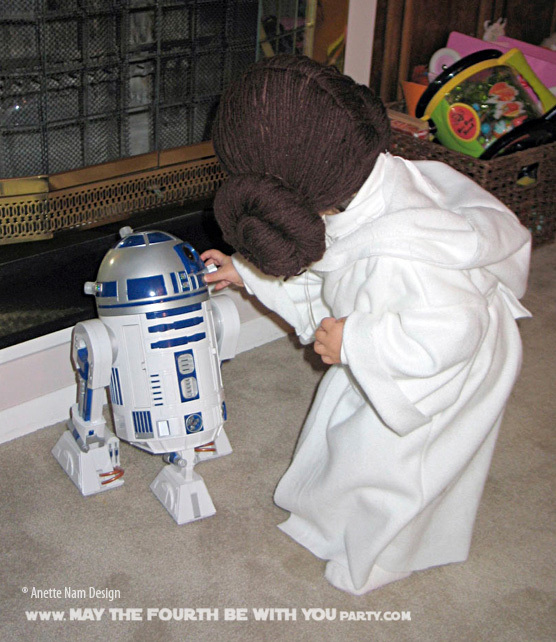 Sure, there has been some complaining about the comfort of certain costumes (R2-D2 was the worst), but she has always been super-proud of our creations. Her little brother is just as excited about the costumes – he has his characters planned for the next 3 years I think. As I was working on this year’s creations, I remembered the very first Star Wars photo they posed in together, and wanted to share it with you guys. (from our May the Fourth be with You Party 4.5 years ago). #1 is wearing the very first costume I made for her. The Princess Leia when she was about a year and a half, (it still sort of fit), and the little guy was wearing the Yoda outfit Big Sis used as an infant. 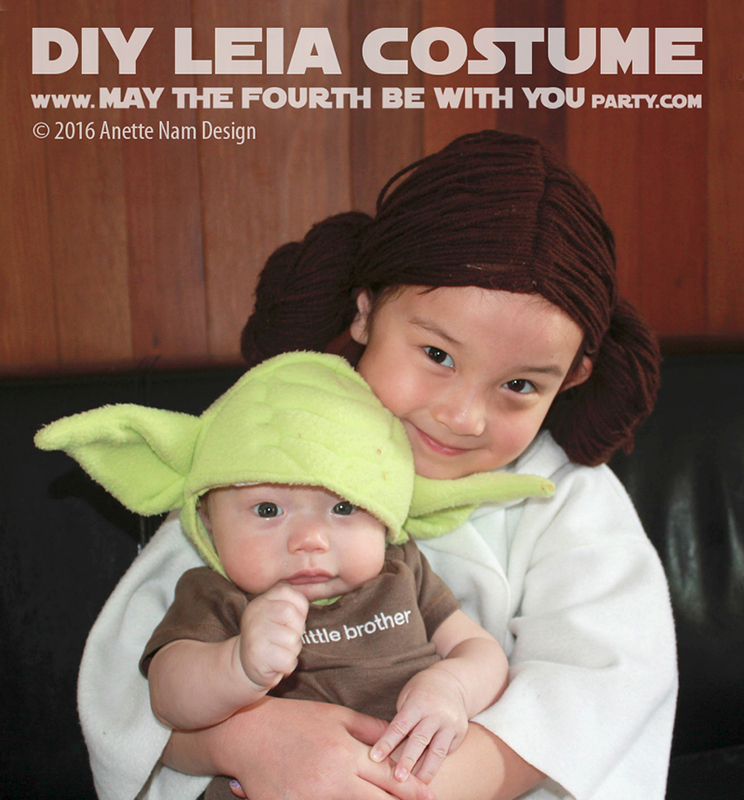 … and you can find the post and details about the Yoda costume here. Hope you guys are having fun making (or buying) your costumes, I know we are!!!! Now, I am off to Jo-Ann to buy more white Duct Tape. October 11 was International Day of the Girl. To commemorate, I typed this “poem” about the queens of Star Wars inspired by Disney’s “I Am a Princess” commercial. I thought of you and your daughter after I finished it. Your daughter is a galactic princess. Long may she reign. Such kinds words 🙂 THANK YOU! I read your comment to my daughter (and the Hubby)! Is the poem on your blog? We would love to read it!